Universal Clipboard is one of the greatest features available with the latest versions of macOS and iOS which allow you to copy and paste between devices across platform or devices. For example, you can copy a link on a Mac and then paste it into an email on the iPhone, or copy a picture on the iPhone and paste it into a document on the Mac. You could also copy something from an iPhone and paste it over to an iPad, or from one Mac to another, and vice versa. 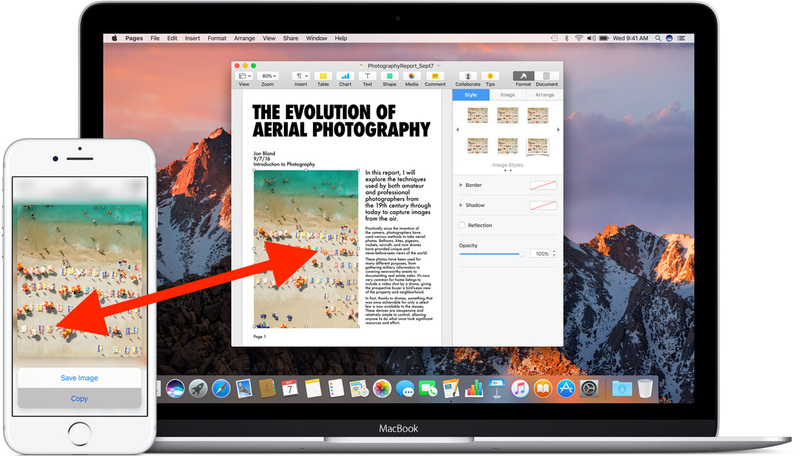 Universal Clipboard is part of the Continuity set of features and it works seamlessly, allowing you to copy text, images and pictures, even video, between Macs or iOS devices. If you aren’t yet using this feature, you really should be, so let’s cover the requirements and how it works. In my experience having all hardware on the same wi-fi network with Bluetooth enabled is the most reliable way to get Universal Clipboard to work. Universal Clipboard is perhaps the single best productivity feature (collaborative Notes may be a close second) in the latest versions of iOS and Mac OS for users who juggle between different devices on a regular basis, and it goes great with the other Continuity features like Handoff. Is Universal Clipboard not working for you? Run through the method to configure outlined above, because Universal Clipboard should work flawlessly with the above requirements and steps, but if you’re having difficulties it’s likely because something is not configured properly or the device is not running a compatible software version. Remember, you copy and paste on a Mac with Edit > Copy / Paste, and on iPhone or iPad with a tap-and-hold > select > Copy / Paste. Do you use Universal Clipboard on your Mac, iPhone, or iPad? Let us know your comments below! Works perfectly and quite useful; I suppose the technology doesn’t work that would allow this to work between devices logged into the same iCloud account but not sharing the same wifi. I suppose Messages does nearly the same thing. I’m able to use Universal Clipboard without wi-fi but it’s quite a bit slower (iPhone on LTE, Mac on Wi-Fi), as long as the devices have internet access and the same iCloud account it should theoretically work, but in practice it’s faster and more reliable with devices on the same wi-fi network. I am able to copy from iPhone to Mac, But not otherwise. When I copy from Mac and paste on iPhone, either it copies empty string or the last copied item from iPhone. My gear meets ALL the requirements for using U.C., yet I cannot use it. This a new low for Apple: Why the heck can’t you just log out of iCloud and log back in with the same password? This truly is ridiculous. Universal Clipboard requires you to be logged into iCloud. To me, sounds like you are using the iCloud password to log in to the Mac. If you have two-factor authentication enabled (which is required for unlocking with Apple Watch) then that is not possible anyway. You can separate the iCloud and login passwords at any time. There are a lot of moving parts and confusing aspects to all of this now, I am not sure that Apple can keep track of it. A lot of features are tacked on, not everything is thought out well. If your iCloud is logged in already to all devices and they’re on the latest versions it should work fine. There isn’t any setup involved, just requirements. Truer words were never said. I have had Macs since 1995 and am pretty savvy, computer-wise. Many of my family and friends bombard me with questions about how to get certain features to work: from this Universal Clipboard to Share My Screen, to Find Friends. Apple gets worse and worse. I’m an intensive-use Apple geek. Definitely not a fan of Sierra yet, a lot of flakey things. It would be nice if the regular copy/paste feature wasn’t so flakey now. I’ll try to use this feature, I’m trying to get over the initial issues. I just saw now my printer isn’t fully compatible with Sierra and may not work at all. The only useful things to me so far are the iCloud documents and iCloud desktop. In practice how close is this to having AirDrop work between iOS and macOS? I guess we still can’t exchange files between the two file systems but is that about it now? I have a 2009 MacPro so I don’t have Bluetooth LE but I’m considering purchasing a USB dongle for these features and to get better performance out of my Magic Mouse. It’s different. Airdrop is intended to share files between devices. On the other hand, the clipboard is limited to text or images only, and it is used only when you’re copying and pasting. Now apple added the word universal because with iOS 10 and macOS Sierra you can copy on one device and then paste on another, as opposed to the usual copying and pasting only from one application to another, always within the same device like we did before. The universal clipboard doesn’t work for me. There’s no evidence that it even exists. However, there are a lot of bugs in Sierra (on two computers): Finder is slow to draw icons, shift+arrow key doesn’t select items the way it should, Mail sometimes responds to keystrokes with a delay, if at all, and other stuff that just shouldn’t be problems in a shipping version. Sierra’s new features aren’t worth its messed-up features. It makes me wonder what Apple uses in their offices. Sierra’s new features aren’t worth its messed-up features. It makes me wonder what Apple uses in the office. make sure you have handoff enabled on all your devices. Apparently universal clipboard will not work otherwise. Does anyone understand why both Wifi and bluetooth are required? It would seem to me they could transmit the clipboard data over the Wifi network if both devices are connected to it. For that matter, is Wifi really needed if you have 2 macs connected by ethernet? I believe it does use wifi when available and bluetooth when there is no wifi. It works just like handoff, which by the way also needs to be turned on in settings for universal clipboard to work. no Bluetooth and / or “on the same WiFi network” bs. It *does require ElCap or later. Agree, 100%!! I have been using deskconnect for a few months and it works like a charm. I have a new iPhone and a new iMac, and I find that Universal Clipboard works about as well as AirDrop does — I.e., it works terribly. Like most of these bluetooth-requiring Apple features, it’s intermittent and best and fails more often than it works. Clearly, from the comments here and elsewhere, I’m not the only one. They should be embarrassed about how poorly this Handoff stuff works. What were you trying to copy and paste? It works fine for text, but I wouldn’t be surprised about any problems if you were copy-pasting an image, which is larger. I’ve tried images but mostly just testing text, often a single word. It almost never works. 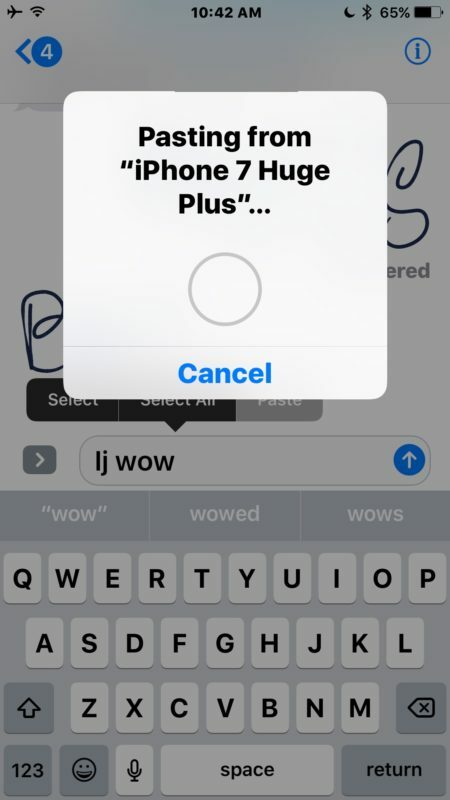 When I copy something on my iMac, the only effect is to make the phone take 10 seconds to even show the “Paste” command, then fail and paste whatever was last copied on the phone anyway. All my devices and my Mac meet all the requirements. Until I read this article, I hadn’t tried universal clipboard as I didn’t know how to use it. Now I’ve tried it and while I can copy from my Mac and paste to my iPhone, etc., I can’t copy from any device to my Mac. When I try to paste onto the Mac, it always “remembers” the last item from its own clipboard and pastes that. I’ve tried Edit/Paste, I’ve tried Command V, nothing works to copy to the Mac. 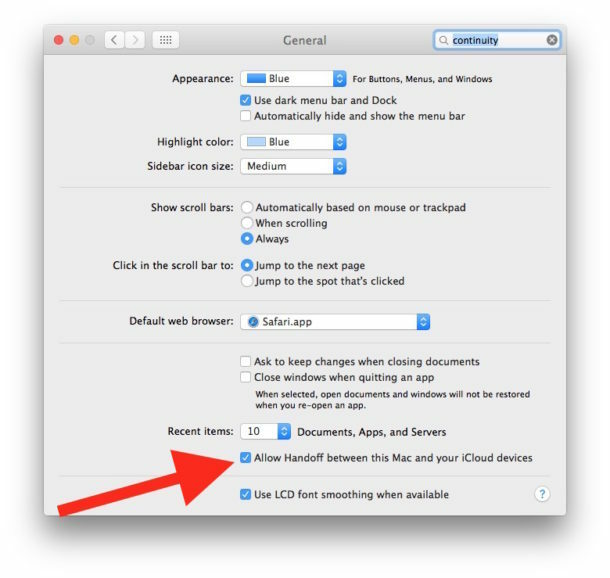 There is no field for handoff in Settings>General in my edition of Sierra. I have an iPhone 5 and a 2013 iMac, both running the latest OSs (iOS 10 and macOS Sierra – latest versions). For me, this feature simply does not work. I have tried it over and over, checked all my settings (everything is set up properly), but no go. I also thought we were beyond the days of websites that won’t work properly with Safari. The business website of someone I know (hosted by a SaaS provider) often won’t load for a minute or more in Safari (on a 200mbs internet connection) – works fine in Firefox and Chrome. Friends that I had long ago switched to Mac are starting to move back to Windows (if they are going to have Windows-like problems, they want to go for the cheap price). While we all know MacOS is still better (by a long shot), it is frustrating to see macOS Sierra’s new features just not work properly. If you can’t seeyour phone hotspot shortcut in your WiFi settings, nothing about continuity will work. Universal Clipboard, Handoff, nothing. If it’s not appearing, go to bluetooth on both Devices. Pair the mac to the iPhone. You should have to enter a 6 digit number to pair. Once you’ve done that, turn off your WiFi, turn off your Bluetooth. Then turn on your WiFi and turn on your Bluetooth. Do the same to your phone in control center. I am an adept and long-time Apple power user. My devices all qualify, handoff is enabled, and all are on the same WiFi, Bluetooth (and paired), and iCloud. Tried all of the foregoing suggestions. Still doesn’t work. I don’t see why some think this new feature is such a big deal; easy to copy and paste into a message or email to myself. A bit kludgy, yes. But quick and flawless. And I don’t have to keep Bluetooth on which runs down the battery on my 6s Plus. Now Siri on the laptop, that’s a game-changer. I upgraded to Sierra mainly for this feature. Very disappointed to read here that it won’t work on my 2011 MacBook Pro, which in all other respects works like new. I continue having frustration with anything related to Continuity, I’ve solved all my continuity issues but this one doesn’t work for me. My devices meet all the requirements, I need to copy images and it never works. Never. What are those upturn arrows for and how do I get to the clipboard in order to fill out forms. Autofill works just great, but is less and less allowed. I keep seeing the previous icons but do not know how they work. I need to have my name, e address, and zip code stored somewhere so I can call it up like a macro. It doesn’t work at all, which doesn’t surprise me. Sierra has a lot of keyboard problems which persist even after resting SMC and NVRAM and reinstalling Sierra several times, one was a full install. Feedback is not a way to communicate problems, they don’t read it. The key problem was on 10.12, 10.12.1, 10.12.2, 10.12.3, 10.12.4, 10.12.5, and 10.12.6. Apple doesn’t seem to care about software quality any more, so I don’t think there is any fix for this.